COASTAL IMPACT A woman poses for a photograph as a wave at high tide crashes over Mumbai’s seaside promenade in July during a pause in the seasonal monsoon rains. Each year when the monsoon rain sheets down and the tides swell over coastal Mumbai, Saif shutters his soda shop on Juhu Beach and takes shelter up in the rafters. Still, the water invades through the roof and over the concrete floors, sometimes reaching as high as the freezers full of ice cream. For 36-year-old Saif, the coastal megacity’s chronic flooding is stressful. “What would happen if too much water comes?” asks Saif, who, like many in India, goes by one name. “I could get swept up with it.” Last year’s torrential floods killed at least 14 people in Mumbai. And in July 2005, when a meter of rain fell in a single day, flooding cost the city about $1.7 billion in damages. Such questions are becoming more urgent in coastal cities at mounting risk of climate-driven flooding. Climate change is raising sea levels, while also making storms more severe and bringing heavier rains to some places. For densely populated cities like Mumbai — the financial heart of India, which is the world’s fastest-growing major economy — those risks threaten to throw personal incomes and national economies into chaos. “The challenge is getting people to prepare for a risk they can’t yet see,” says Stéphane Hallegatte, lead economist at the World Bank’s Global Facility or Disaster Reduction and Recovery in Washington, D.C. “A very tiny change in sea level can have an enormous impact on risk levels,” he adds. By 2005, coastal city flooding cost the world an average of $6 billion a year, according to calculations by Hallegatte and colleagues. Even if humankind manages to limit the release of carbon dioxide enough to keep global warming to an average 2 degrees Celsius above preindustrial levels — which is highly unlikely — seas will still rise by a global average of about 20 centimeters by 2050, if not more. That’s enough to more than double the frequency of flooding in the tropics, where Mumbai is located, according to a 2017 paper in Scientific Reports. Global losses from coastal flooding may surpass $1 trillion annually by 2050 unless coastal cities prepare, Hallegatte’s team says. That projection is actually conservative, because it doesn’t include damage from other climate-related flood risks such as heavier rains and stronger storms (SN: 6/27/15, p. 9). Last year, Hurricane Harvey’s extreme rainfall, probably fueled by climate change, caused $125 billion in flood losses in Houston (SN: 1/20/18, p. 6). And in Puerto Rico and the U.S. Virgin Islands, Hurricane Maria caused $90 billion in damages, mostly from winds. If cities invest enough to just hold steady at their current level of flood risk, future losses would drop drastically, to about $60 billion per year, Hallegatte says. Mumbai’s share would be about $6.4 billion — making it the second-most economically vulnerable city after China’s Guangzhou. Many of Asia’s fast-growing coastal megacities, with populations of 10 million or more, are vulnerable to multiple flood threats. Mumbai, the Bangladeshi capital of Dhaka and Manila in the Philippines, among others, face a future of heavier rainfall and higher storm surges. Manila and others, like Indonesia’s Jakarta, are also sinking fast. Some spots in Jakarta are sinking at a rate of 20 to 28 centimeters a year. Mumbai and other fast-growing coastal megacities in Asia are particularly vulnerable to climate-related flooding. Twenty-one of the world’s 31 megacities hug a coastline, 13 of which are in Asia. These cities of 10 million or more often drive their national economies and are home to both rich and poor. 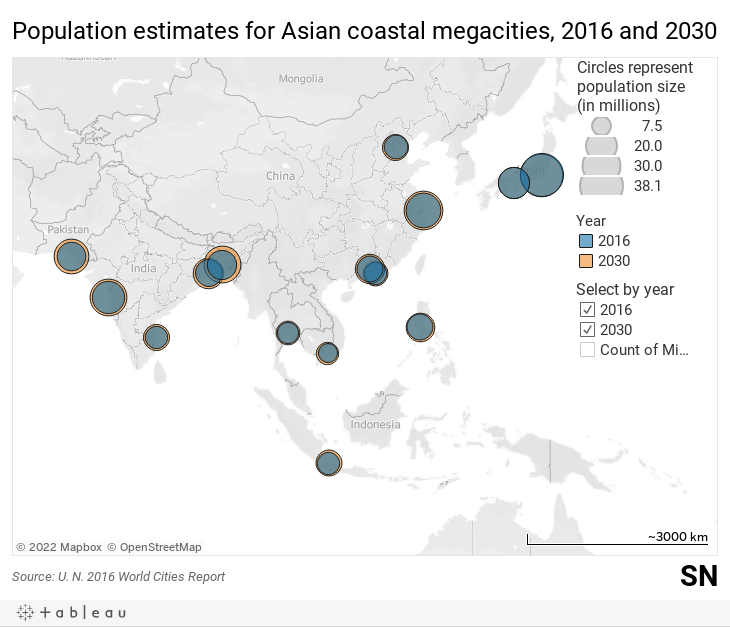 As the world’s population balloons, two more Asian coastal cities will be pushed into the mega zone by 2030: Bangkok and Vietnam’s Ho Chi Minh City, according to United Nations estimates. In addition to flooding, these megalopolises could face water supply disruptions, dangerous heat waves (SN: 4/14/18, p. 18), increased food insecurity and more disease outbreaks. On a Sunday evening in June, the promenade along Mumbai’s iconic Marine Drive is packed. Families stroll eating ice cream, children chase street vendors peddling cotton candy, and friends squeeze together for selfies framed against the blue-gray waters of the Arabian Sea. Dark, roiling monsoon clouds loom over the horizon, as waves crash a meter away against the concrete barricade. The promenade was built a century ago when India was part of the colonial British Empire. The walkway’s days may be numbered. Mumbai’s coastal waters rose at least nine centimeters during the 20th century, according to tide gauge data. Today, seawater regularly spills over the promenade during high tide. It’s not clear how much farther seas will rise around Mumbai. A variety of factors, including tides, gravity and Earth’s rotation, influence local area sea rise in complex ways. And a lack of detailed data on Mumbai’s coastal geography available to scientists leaves questions on how future local water levels will affect specific areas of the city. The state of Maharashtra, where Mumbai is located, acknowledged this data deficit in its 2014 climate change plan. Nevertheless, the state has so far ignored a 2017 Indian Supreme Court order to release maps demarcating future flood lines. Maharashtra’s environment secretary, Anil Diggikar, told Science News that the mapping is being done, though he did not say when the maps might be made public. But the state does recommend that rainfall and sea level trends be considered in new construction projects and public infrastructure. “This is especially important for [the] economic hub of Mumbai and surrounding districts,” he says, while also touting plans for restoring coastal stands of protective mangrove trees. He may have a point, with the rate of global sea rise fast accelerating — from a yearly average of 1.8 millimeters in the last century to about 3.0 millimeters per year today, according to a report in the Feb. 27 Proceedings of the National Academy of Sciences. Global sea level rise could be kept to a lower projection range (blue) if humankind curbs greenhouse gas emissions. Today, the world is on track for a much higher level of rise (tan). And while global sea level projections up to 2050 are considered reliable, the situation beyond midcentury is less clear. Much depends on whether humankind can limit global emissions of carbon dioxide and other heat-trapping atmospheric gases. Princeton University climatologist Michael Oppenheimer is not optimistic. The annual monsoon, the seasonal shift in winds that brings flooding rains to Mumbai, adds an extra layer of uncertainty to projecting how much flooding will accompany sea rise, he says. The future of this South Asian weather system has been difficult to predict, thanks in part to the mysterious influence of the Indo-Pacific Warm Pool. It’s Earth’s largest region of warm surface seawaters spanning the midocean region between the western Pacific and the eastern Indian oceans. That warmth partly fuels monsoon storm clouds. Lakshmi Murali lives with her husband and son in a quiet, gated community, lush with jackfruit trees and flowering hibiscus in Mumbai’s flood-prone neighborhood of Andheri. Every June, as the rain starts falling, she unplugs the electronics in their ground floor apartment and moves her silk saris out from under the bed. Across the city, the rains rage against the glass windows of luxury high-rises. Public transportation and street commerce come to a halt. Water pounds the tin roofs of slum shanties where about half of Mumbai’s 21.4 million people live. A sewage-tainted slurry burbles out of the city’s outdated and often-clogged drainage system, backing up into rivers and creeks that then overflow into homes and businesses. Last year was particularly bad: In 24 hours, about 33 centimeters of rain fell. “You had to see it to believe it,” says Murali, a 54-year-old lawyer who is not related to the marine researcher of the same name. Her building’s plumbing system failed, and the toilets overflowed. Residents turned off their power for fear of getting electrocuted. As water rose inside their homes, Murali and a few neighbors used an iron rod to smash a hole through the wall surrounding their backyard to let the water flow out. Mumbai’s current predicament is partly due to the power of engineering over nature. Large parts of the city are built on land that, 300 years ago, was mostly underwater. When the Portuguese settled the region in the 16th century, they maintained Mumbai as a sleepy collection of coastal islands. But the British, who took over in 1661, reimagined Mumbai as a contiguous landmass and created a peninsula by filling in land gaps to connect the islands even in the wet season. Much of Mumbai is built atop landfill (black) that connects several islands (green) in the middle of Bombay Harbor. Those passages once allowed water to flow through the system at high tide and during monsoon rains. “So many of these megacities are built on land that is only artificially higher than sea level, in places where landfilling took place,” says Washington D.C.–based Susmita Dasgupta, the lead environmental economist for the World Bank’s Development Research Group. Dasgupta was involved in the World Bank’s first report in 2007 on how sea level rise might affect national economies. The aim was to trigger discussion and preparation for a possible future economic catastrophe. She and her team offered guarded impact estimates based on hypothetical scenarios of between one and five meters of global sea level rise, using satellite images of coastal outlines and local elevations. In estimating potential economic losses, the team considered an affected area’s population multiplied by the country’s gross domestic product per capita, but not infrastructure or property assets. That report projected that one meter of sea rise would cost the world 1.3 percent of the global economy. Applied to the forecast global GDP for 2018, that comes to about $1.3 trillion, not far from the estimates by Hallegatte’s team. “But we wanted to raise the issue,” Dasgupta says. She faced a wave of hostility and derision for the effort. “Even bank colleagues were unhappy about it, saying we were being alarmist and that this kind of research was premature.” Eleven years later, no one doubts the sea is rising. Amid the confusing tumble of scientific studies on how climate change might raise flood risks, some scientists have built online visual apps to help the public understand what’s at stake. One tool, by the U.S. National Oceanic and Atmospheric Administration, shows past global sea level trends based on tide gauges. But the app does not give projections. And it relies on sometimes patchy data. For example, there are no readings for Mumbai’s water levels from 1994 to 2005 or after 2010. The Maharashtra government says local sea levels are rising 1.2 millimeters a year, based on those incomplete data. In 2017, a team from NASA’s Jet Propulsion Laboratory, or JPL, launched an app to demonstrate how melting ice sheets would affect 293 major port cities across the globe. The scientists measured the melt using NASA’s GRACE satellites, which detect gravity changes from the ice loss. To boost accuracy, the team recently added a component to the app that accounts for the fact that water expands as it warms. For Mumbai, the JPL app foresees at least another 2.9-centimeter rise in coastal water in 10 years — and 14.4 centimeters in the next 50 years. It’s not easy to find a coastal megacity taking decisive and effective action against future flood risks. Bangladesh has long built coastal sea walls of stacked mud, which may help prevent ocean storm surges from cascading inland to Dhaka. Fast-sinking Jakarta is working on its own giant sea wall as well. But walls won’t help Mumbai; they would prevent rain-driven freshwater floods from draining out after the monsoon. Massive structural engineering is not the answer. Many scientists suggest that cities lighten their burden on the land by maintaining natural coastlines, protecting sand dunes and preserving forests or even growing more of them. At the least, cities should refrain from making development decisions that will make things worse, such as paving over water-absorbent soils or building on natural floodplains. Governments can also improve storm drains, offer voluntary relocation packages or even consider introducing ferries rather than trying to raise or maintain existing roads. “We need to evolve to a situation where we’re more congruent with nature, rather than fighting it,” says urban planning expert Amrita Daniere of the University of Toronto, codirector of the Urban Climate Resilience in South East Asia Partnership. The group is aiding flood-preparation efforts in so-called second-tier cities, each still home to millions of people. “It’s too difficult to influence policy and practice in a megacity,” she says. There are cities like Bangkok, the capital of Thailand, that may be just too vulnerable. Built atop an estuary feeding into the Gulf of Thailand, the city — also sinking — is on track to go mega by 2030. “It wouldn’t shock me if they had to move the capital in 20 years,” Daniere says. Read more about how the impact of global sea level rise varies regionally. Cities that don’t own up to their vulnerability risk squandering economic gains made in the last few decades, economists say. Some cities could face a financial reckoning even before flooding worsens. The mere notion of increasing risk is enough to spook investors. Pressure is mounting for cities to disclose climate risks. Credit rating agencies including Moody’s and Standard & Poor’s have begun including climate change impacts in their assessments. Last year, the Financial Stability Board of the Group of Twenty international forum urged insurers, banks and institutional investors to release climate-related financial risk disclosures. Still, “there’s not much happening,” says Richard Hewston, a climate change analyst at Verisk Maplecroft in Bath, England, which advises on the risks of doing business around the world. “Sea rise is a gradual threat,” even though it can worsen events like tropical cyclones, Hewston says. So it’s difficult for people to use sea level rise as a reason to spend billions of dollars on infrastructure to prevent disaster. Mumbai’s flood risk makes the city a “high risk” place for climate change vulnerability — the second-most worrying category after “extreme risk,” according to Verisk Maplecroft’s 2018 hazard index. Among the world’s 31 megacities, Mumbai ranks as the ninth riskiest, based on about 50 factors ranging from preparedness to exposure to climate shocks like heat waves, drought, hurricanes and flooding. Mumbai’s high population density, high poverty rates and poor sewage and drainage systems “heighten the risk posed by climate-related events like flooding,” the company says. Verisk Maplecroft suggests that Mumbai build better sewage and drainage capacity, halt building on landfill and restore coastal mangrove trees, which keep the land intact with their tangle of roots and act as a natural buffer against the Arabian Sea. There is little evidence that any of that, beyond mangrove restoration, is being done. Drainage system upgrades have been stalled for years. Limits on building on floodplains are routinely ignored. Mumbai-based environmental economist Archana Patankar worries that these are signs of official neglect. Mumbai “is an extremely important city in terms of the economic wealth it generates,” says Patankar. The city’s economy rivals that of some developed nations in Europe. Its stock exchange is valued at around $2.2 trillion — almost twice the entire GDP of Mexico or Australia. Its Hindi-language Bollywood entertainment industry generates billions of dollars in global revenues each year. Not enough work has been done to assess how the city’s economy will be impacted, she says. Instead, Mumbai appears focused on further developing its fragile coastline. The government is barreling ahead with plans for a 29-kilometer coastal highway, which will require ripping out patches of protective mangrove trees. Construction cranes punctuate the shoreline as new high-rises go up every year. Property developers are aware of sea level rise, but they’re in the business to sell. “No developer in Mumbai does any kind of risk analysis on how sea level and climate change is going to factor into their risks,” says Rohitashwa Poddar, managing director of local developer Poddar Housing and Development. Though his company aims to build future-proof homes by placing them on stilts or surrounding them with water-absorbing gardens, few of Poddar’s customers ask about flood risk. “People should know if they’re buying property in high-risk areas,” adds Stalin Dayanand, director of Vanashakti, the local environmental group that argued in the Indian Supreme Court for the release of the state’s forecast maps showing “hazard lines” for where the coast might be located in 100 years. The state missed the Supreme Court’s April deadline. Meanwhile, authorities moved ahead with plans for a $409 million memorial statue of the 17th century Indian ruler Chhatrapati Shivaji to be built on landfill in the middle of Mumbai’s bay. If projections are even close to correct, that 200-meter-tall statue could be left towering over a city swamped within decades. This article appears in the August 18, 2018 issue of Science News with the headline, "Coastal Catastrophe: Mumbai and a growing number of megacities face rising waters." A. Shepherd et al. Mass balance of the Antarctic Ice Sheet from 1992 to 2017. Nature. Published June 13, 2018. doi:10.1038/s41586-018-0179. Sean Vitousek et al. “Doubling of coastal flooding frequency within decades due to sea-level rise.” Scientific Reports. May 18, 2017. C. Gramling. Tropical cyclones have slowed over the last 70 years.  Science News Online. June 6, 2018. A. Cunningham. Are we ready for the deadly heat waves of the future? Science News. Vol. 193, April 14, 2018, p. 18. C Gramling. Humans are driving climate change, federal scientists say. Science News Online. November 3, 2017. T. Sumner. Titanic typhoons are in the forecast. Science News. Vol.187, June 27, 2015, p. 9.